Our approach to managing a hotel is anything but conventional. You will find that elements of our management style have more in common with other industries, such as high technology, manufacturing and financial services. First and foremost, while most people think of us as hotel managers, we really think of ourselves as being in the talent management business. Our primary focus as an organization is to aggressively recruit, manage, and retain the very best people we can find regardless of background and industry. As a result of our approach, you will find that our team is incredibly diverse and often brings a fresh perspective to the hotel business by leveraging best practices from other industries. We are committed to operating our organization as a meritocracy where the best talent is given opportunity to succeed and be rewarded. Second, we manage financial and operational performance closely with a very quantitative and data-driven approach. Our hotels have robust financial and accounting controls in place. Our deep expertise in revenue management, sales, and marketing drive top-line results that outperform their respective markets. The operating plan for each hotel is driven by the market requirements and strategic positioning of that particular property. Human capital is another important element that drives the operating plan. Understanding the optimal workload of each and every individual working in a hotel environment is key to maximizing profitability. Our expertise in streamlining information transfer, optimizing technology and equipment, and establishing a winning culture enables our hotel owners to generate the maximum value for every employees. With proven track record in marketing, ShoreRock Hospitality provides a fully-integrated solution to maximize the hotel's exposure on both online and offline. Our in-house creative team develops a custom hotel website, marketing collateral, and print advertisements that sets our hotels apart from of our competitors. In addition, our in-depth knowledge in online marketing and search engine optimization increases the overall impression of the hotel with maximum conversion rate. In an age when more than 80% of the travelers research their lodging online before booking, this component is extremely critical. Every market and property has unique personalities that are taken into account to optimize performance. We demand and expect that our hotels consistently outperform their markets in both RevPar and Occupancy. This growth is achieved by aggressive pursuance of niche markets, maintaining a balance of each customer segmentation, and bottom-line focused yield management. We understand that each property and owner may have unique needs. That's why at ShoreRock Hospitality LLC, our core formula is simple - manage talent, listen to the data, and focus on the guest experience. In other words, we manage each property as if it were our own. 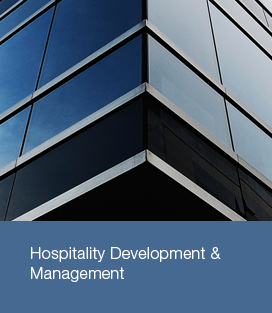 Contact Joe Pettigrew to learn more about how ShoreRock Hospitality can bring immediate success to your hotel. Copyright © 2011 ShoreRock Group LLC. All rights reserved.